On this day in 1861 Alexander Butlerov was the first person to propose a definition of the chemical structure we know and love today. It became clear to him that chemical compounds are not a random grouping of atoms and functional groups, but have a distinct structure. He was also the first to incorporate double bonds into structural formulas, and to discover hexamine and formaldehyde. 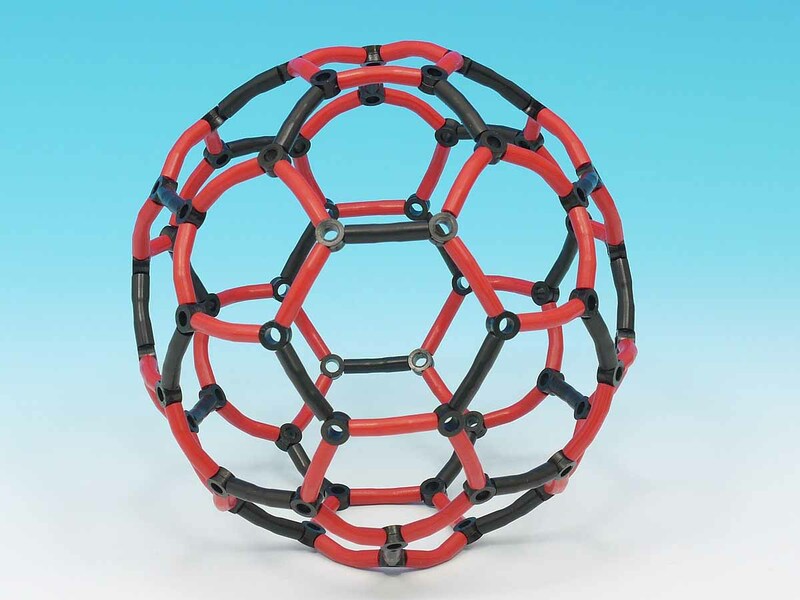 Thanks to his work and that of August Kekule and Archibald Scott Couper, we can present you with beautiful models like our C60 Fullerene, which is composed of 12 pentagons and 20 hexagons. The bonding in carbon 60 is known as delocalised bonding. The double bonding is not fixed in particualr places but is spread out over the molecule. In carbon 60, the bonds shown in black have a stronger double bonding character than those shown in red.